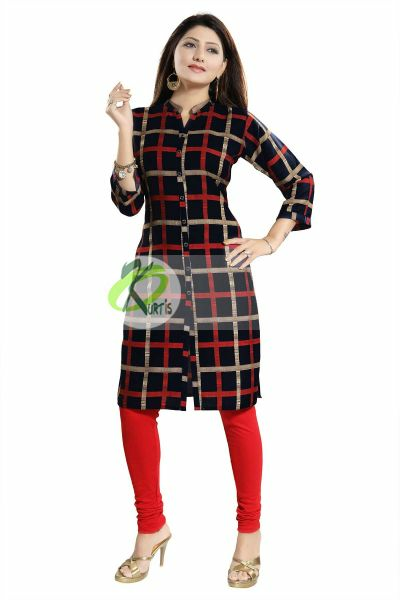 Game up your casual wear wardrobe with this black beauty checkered long tunic for women from snehal creations. 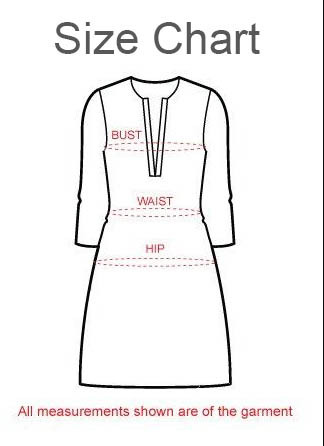 buy this simple front open style straight short tunic with ban collar. this piece has three fourth sleeves. 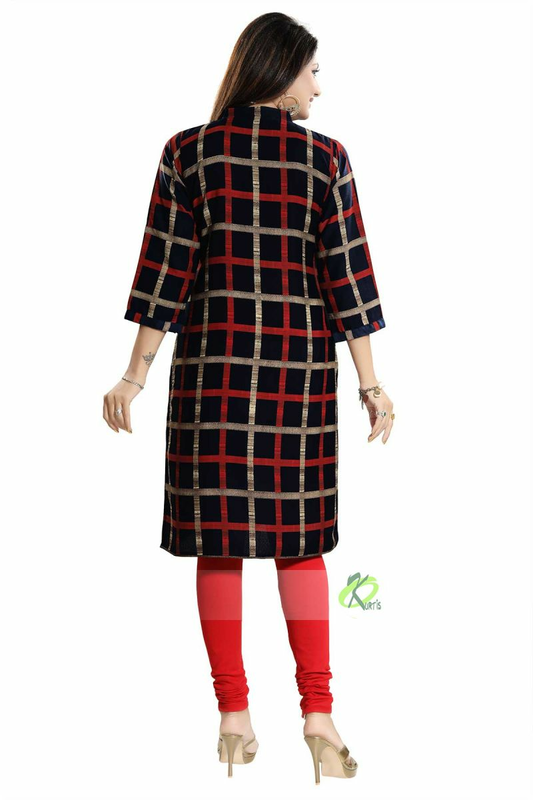 it is made out of poly -crepe fabric in black with red and gold checkered pattern all over it. team this beauty with a pair of red leggings and you are good to go!